The farm had been converted into a chambres d'hote which could accommodate twelve. It was a working farm and vineyard, located in Lacoste, in the Provence region. The figure at the lower left is Adrian in his Carhartts. 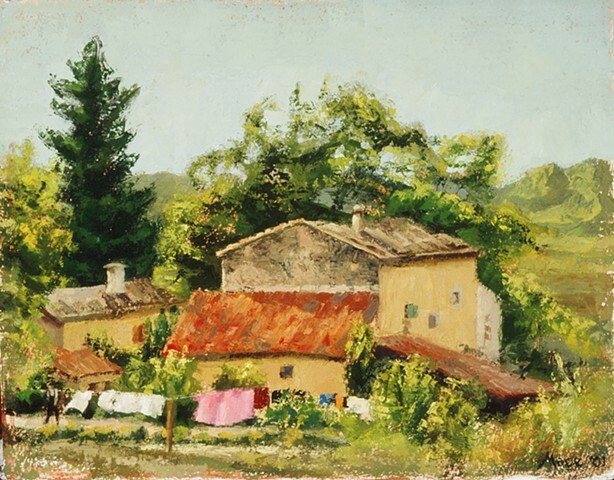 The painting was purchased by my friend Jon Bolnik, who lived in France for many years.